Rhinebeck Equine is proud to announce that we have added chiropractic to our list of specialty services. Dr. Andrea Sotela has completed the animal chiropractic course at Options for Animals College of Animal Chiropractic. 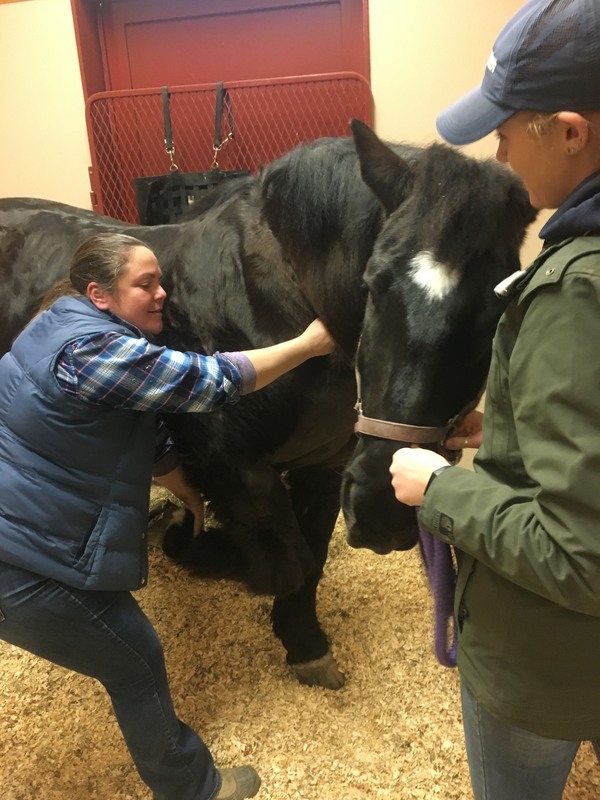 She is certified by the International Veterinary Chiropractic Association (IVCA) and is seeing appointments in the field this month, with some availability on vaccine clinic dates. Chiropractic focuses on the relationship between structure (primarily the spine) and function (coordinated action by the nervous system) and how that balanced synergistic relationship affects overall health. Chiropractic adjustments can help restore normal spinal column movement, promoting healthy neurologic activity, which in turn supports bio-mechanical and musculoskeletal function contributing to improved overall health. Chiropractic care centers on detecting abnormal or decreased motion of the individual vertebra and helping to restore the normal function found in healthy horses. Chiropractic treatment does not replace traditional veterinary medicine; however, it can provide additional means of diagnosis and treatment for a variety of musculoskeletal disorders and performance problems. It can also be used to detect subclinical conditions that are not yet causing clinical signs or abnormal biomechanics. If left untreated, these may progress to more significant lameness issues. Equine chiropractic is a form of manual therapy that uses high velocity and low amplitude controlled thrusts. Performing chiropractic adjustments is the art of applying thrusts to specific articulations or anatomic regions to induce a therapeutic response. Horses that could benefit from chiropractic care may present with many signs, the most common of which is pain or discomfort. Chiropractic treatment may also be used proactively in the recovery period following an injury or as a preventative or maintenance care for horses in training. Other reasons you might pursue chiropractic care for your horse include recurring musculoskeletal ailments or conditions that are not responding to conventional therapy. While chiropractic care will not reverse degenerative changes it can be useful for alleviating pain in horses with chronic conditions. Routine adjustments may contribute to the rehabilitation of most cases by helping to restore normal nerve, muscle, and skeletal function. 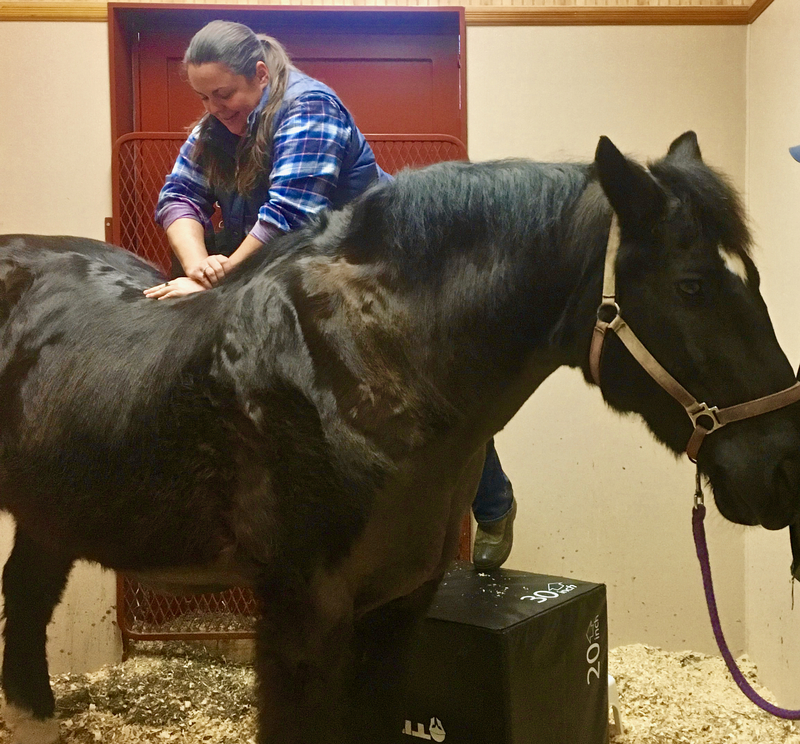 This therapy’s benefits are greatest when used as a preventive approach, in conjunction with traditional veterinary care, to help keep a horse balanced, healthy, and performing at their best.